We go through a lot of hand soap, heck we go through a lot of soap in general, laundry soap, bath soap, shampoo, and of course dish soap. It seems non stop and honestly i know a lot of people who make their own soaps and that includes even for the bath and laundry but for me those things are almost like my luxury items. I want a soap for my dishes that works, and works well the first time, so I buy the brands that I know will do this, I am the same way with my laundry soap and since we cloth diaper I think I am even more picky about that. 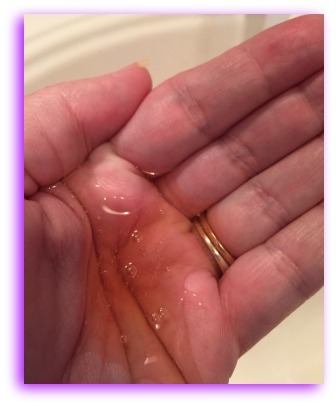 When it comes to hand soap, i want soap, I don’t want a hand sanitizer, I want something that cleans well, housework, cooking, gardening, and general taking care of kids means that I wash my hands with a deep cleansing hand soap and they need to be cleaned not just scented. 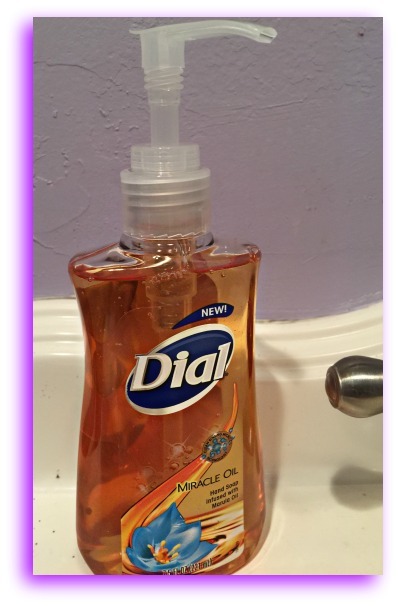 This Dial Miracle Oil soap has Micro-scrubber action to make sure they are clean. This new Miracle Oil soap by Dial is just one of those things that I am going to splurge on. It works well as far as cleaning goes and it works very well when it comes to not drying out my hands. Remember, I did say that I think of these things as luxury so it has to feel good and it has to make my skin feel good after I washed it is a definite refreshing moisture. 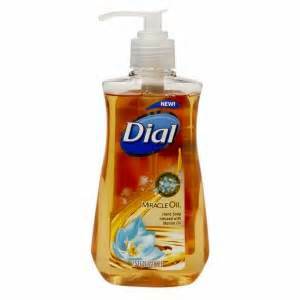 Dial Miracle Oil hand soap has Marula Oil inside, and when I first read that I was a little nervous about having an oily feeling on my hands. Instead I got this great cleaning hand soap that feels fantastic and smells just right. Nothing too fruity and nothing too manly or perfumy. I went through the bottle they sent me to try pretty quick, I think it lasted us about a week, we really like it as a family soap. I wash my hands that much, I would make my mom proud, she was always telling me to wash my hands. Don’t sell yourself short, make sure that you are using a conditioning soap for your hands and any other soaps that are important to you that you love and enjoy using. Some little things in life are worth it.